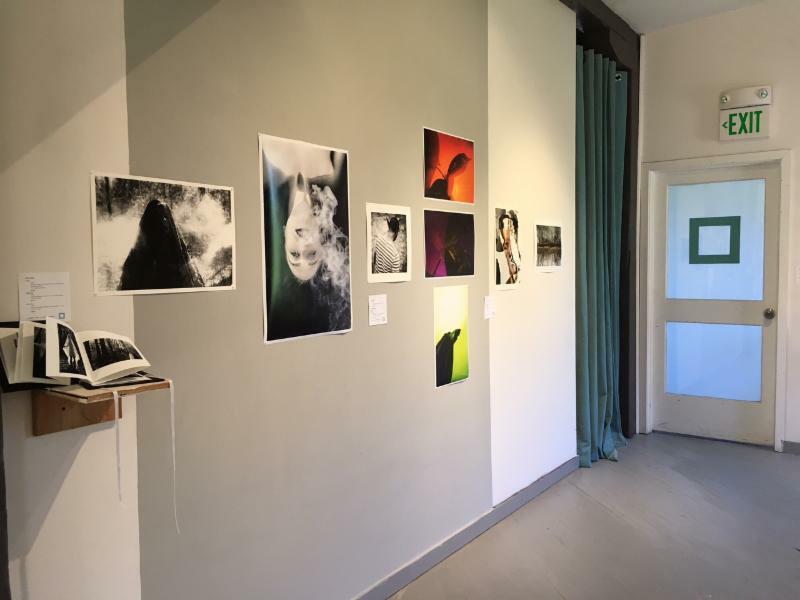 GALLERY HOURS | Wed. - Thurs. 2-6pm | Fri. - Sat. 12-5pm & Sunday by appt. Jordan Faye Contemporary is thrilled to present the work of our first JFC fellow, ERIC ELMASIAN BORJA in FLARED FURIOUS. Eric has been in Residence at JFC for the past 11 months and much of the work that makes up this exhibition was painted in his studio at the gallery. We would love for you to come see it all installed—wall to wall—in our front & west galleries. I've been chasing my own brand of abstraction. This abstraction is automatic and can't be stopped, it slides. The paintings aim for surprise. The target's center is understanding. Understanding these works is experiential. I'm trying to turn cooked intellect into raw visceral. The images can clarify that arts subjectivity is merely a mirage, the origin of which is an inescapable absolute. I do this because raw v tastes better. This work has Chamorro & Armenian origins. It has liquid gallons of kiwi papaya extract. Chewing on betel nut. Swimming in a tropical flood. Each surface is a wet contract. This residue is curious. Flared Furious. 2011+California State University Long Beach=Graduated Bachelor of Fine Arts Drawing & Painting. 2016+Maryland Institute College of Art=Graduated Master of Fine Arts LeRoy E. Hoffberger School of Painting with Certificate in the College Teaching of Art. Jordan Faye Contemporary is thrilled to prevent new works by junior and seniors in the Towson University, department of Art + Design program. 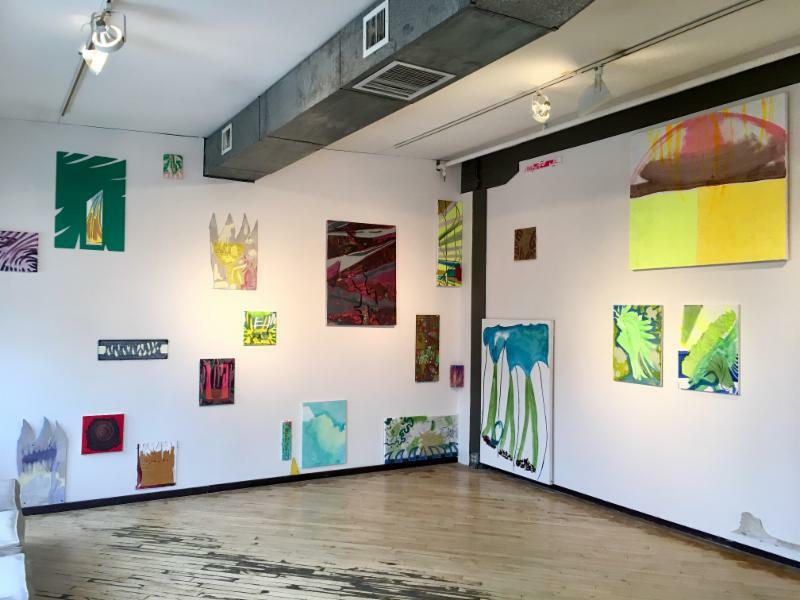 Chrysalis was curated by Jenee Mateer & Kyohei Abe. The work in this exhibition is varied but common themes emerge and coalesce around interrogations of time, self, place, and memory as they relate to human relationships, the metaphysics of existence, and manifestations of techno culture in this digital age.